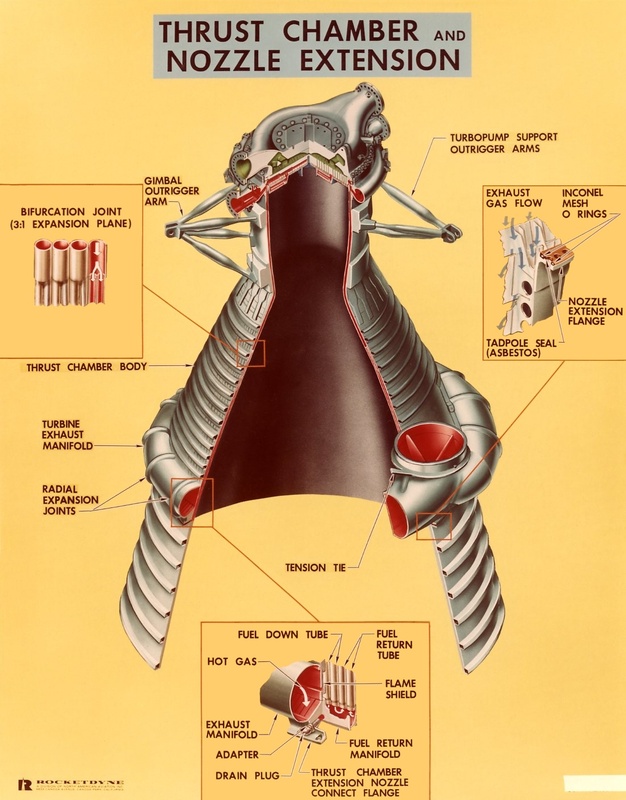 I've collected a number of F-1 rocket engine cut-away diagrams for this page. I was originally going to use these diagrams as a take-off point to discuss various features of the engine, but the resulting page wound up being huge. I will, therefore, refer to you to my F-1 thrust chamber, F-1 injector, and F-1 injector baffles pages. 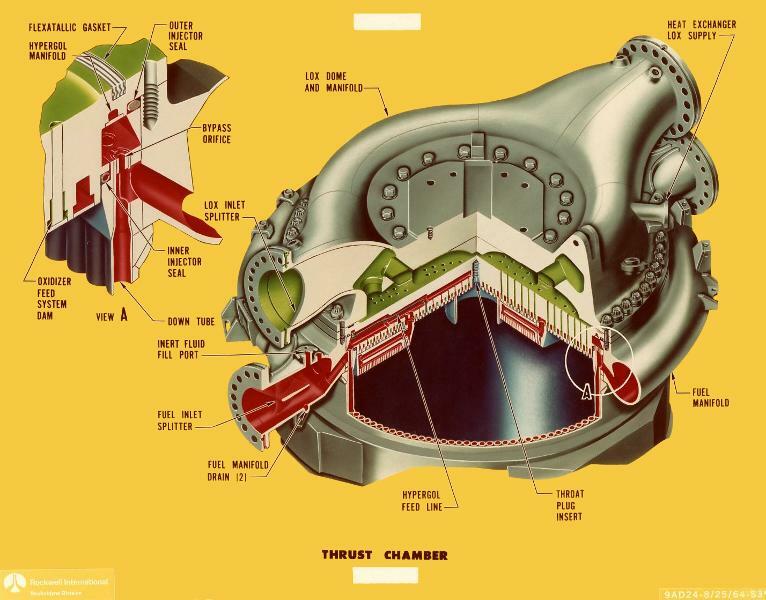 All that remains on this page are several gratuitous F-1 rocket engine cut-away diagrams. Click image for a 1101x1408 pixel version of this image in a new window. For a detailed description of the combustion chamber, as well as many fabrication/assembly photos, see my F-1 engine thrust chamber page. Click image for a 1428x1119 pixel version of this image in a new window. This diagram, from a paper which seems to date from sometime before July 1967, shows another view of the injector. I'm not certain why this diagram lacks a number of features of the other injector cut-aways; my best guess is that this particular diagram was unclassified back in the day, while the other diagrams were still classified at the time. This diagram does give a better feel for the LOX flow. Click image for a 5526x2651 pixel version of this image in a new window. From Saturn V Booster - The F-1 Engine by D.E. Aldrich. Located in the Saturn V Collection, Dept. of Archives/Special Collections, M. Louis Salmon Library, University of Alabama in Huntsville. Click image for a 2658x691 pixel version of this image in a new window. See my F-1 engine injector and F-1 engine injector baffle pages for additional information about the injector, the hypergol feed line, and the injector baffles.